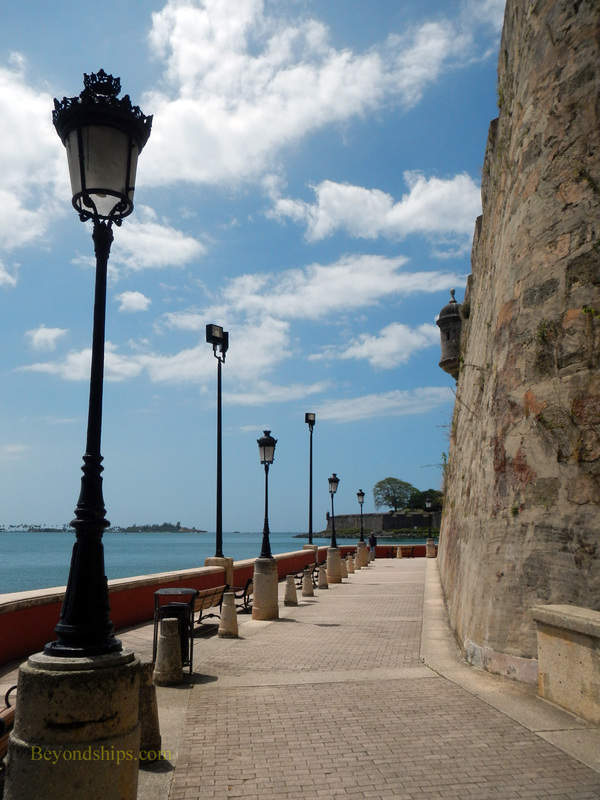 It has been called Old San Juan's most romantic walk. 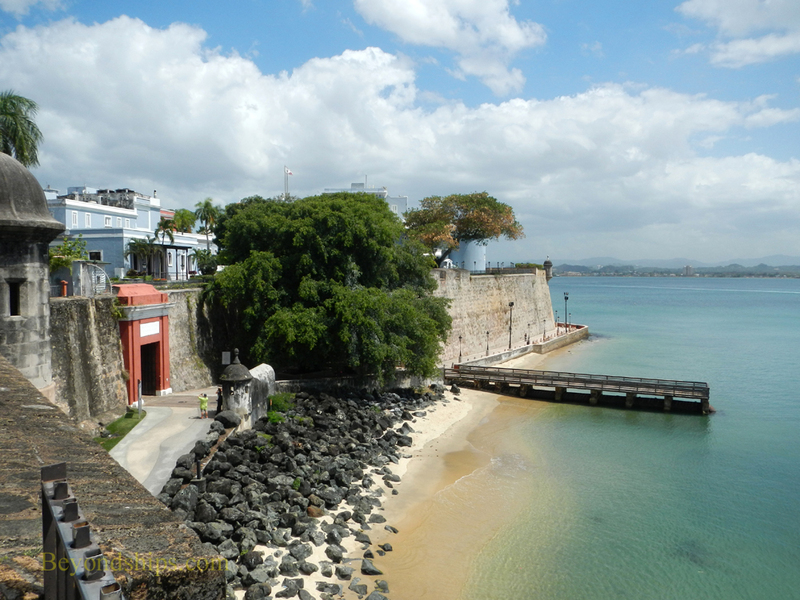 Wrapping around the western end of the islet of Old San Juan, the combination of Paseo de Princesa and Paseo del Morro make for a unique seaside promenade. Adjectives such as scenic, atmospheric, historic and charming all apply. Not surprisingly, it is a favorite of both locals and visitors. Probably the best time to visit this promenade is late in the afternoon. It is cooler and the colors become more vibrant as the sun sets. This seaside promenade is not far from the cruise ship piers. Leaving the piers, you turn left and walk along the seafront. 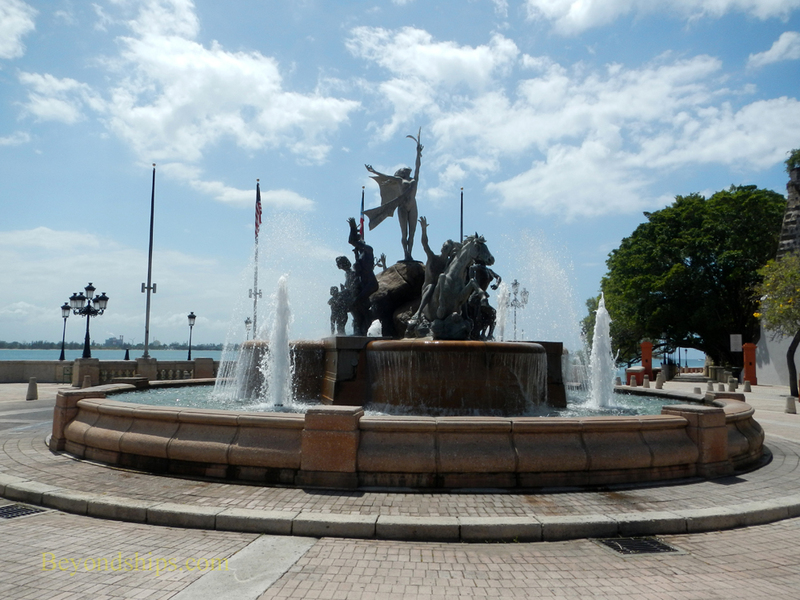 Paseo de la Princesa (Walkway of the Princess) dates from 1853 and has a distinctly European atmosphere. 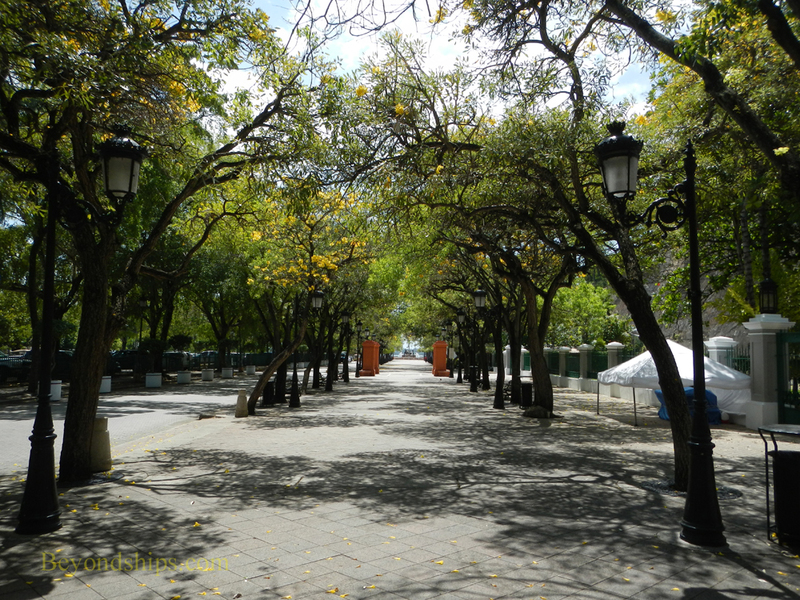 Rows of tree shade the promenade, vendors sell piraquas (shaved ice), couples stroll and children frolic. 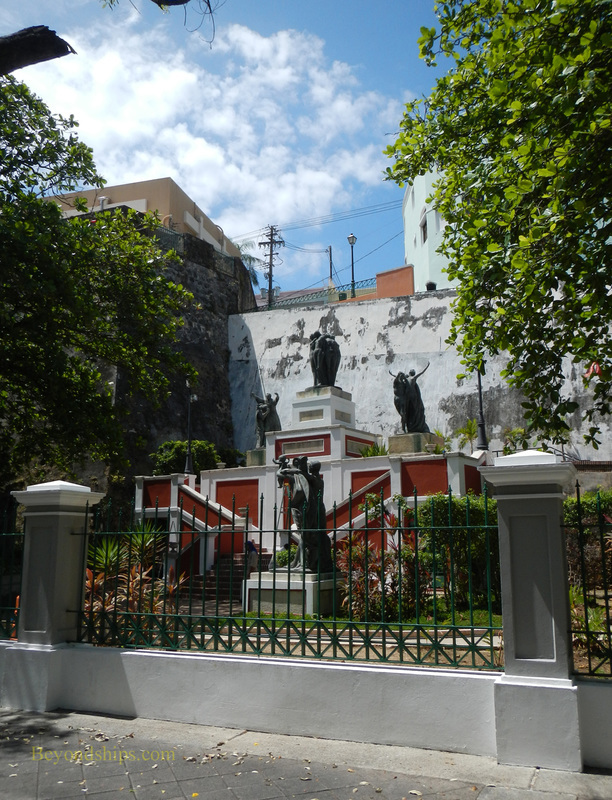 On the side by the city wall is the Jardin de la Princesa, which features five sculptures by Jose Buscalia depicting the hertiage of the Americas (left). Next door is La Princesa, a building from 1837. 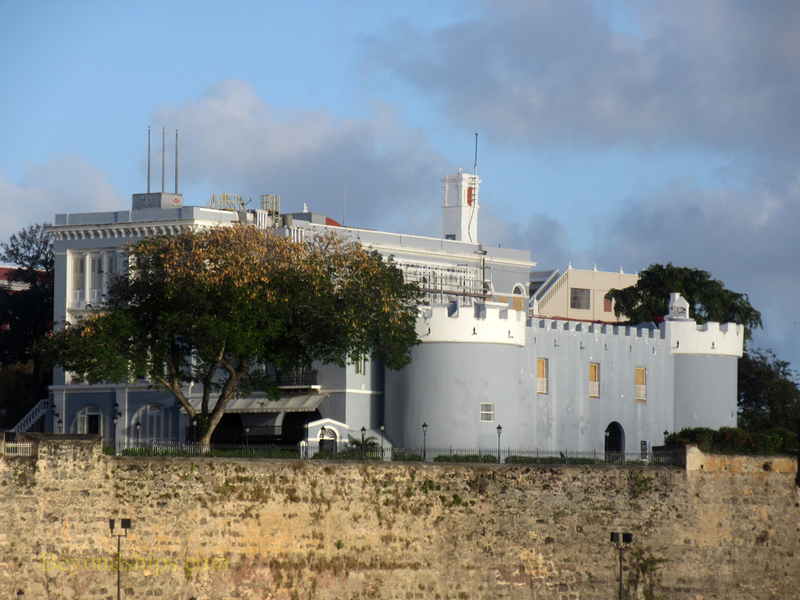 It was once the provincial prison but is now the headquarters of the Puerto Rican tourist organization. It also has art exhibitions featuring Puerto Rican artists. 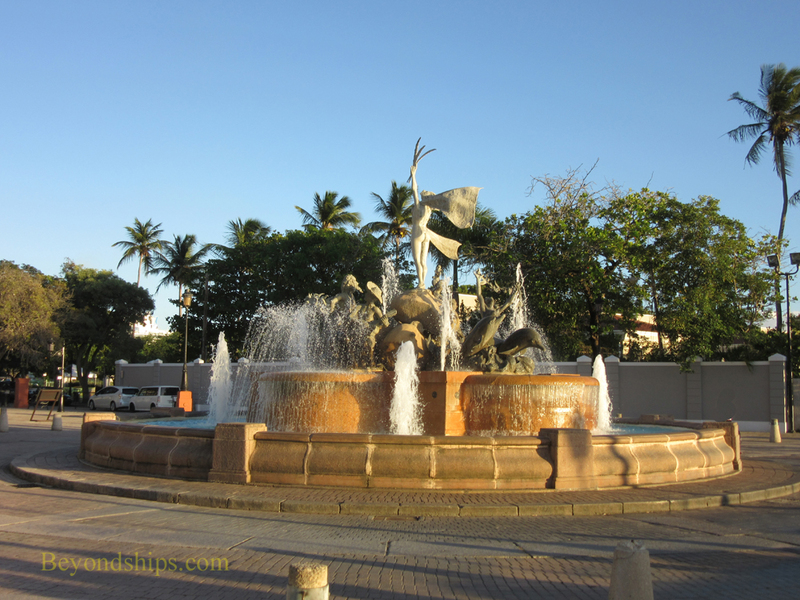 Just before Paseo de la Princesa reaches the sea, it comes to the Raices Fountain. 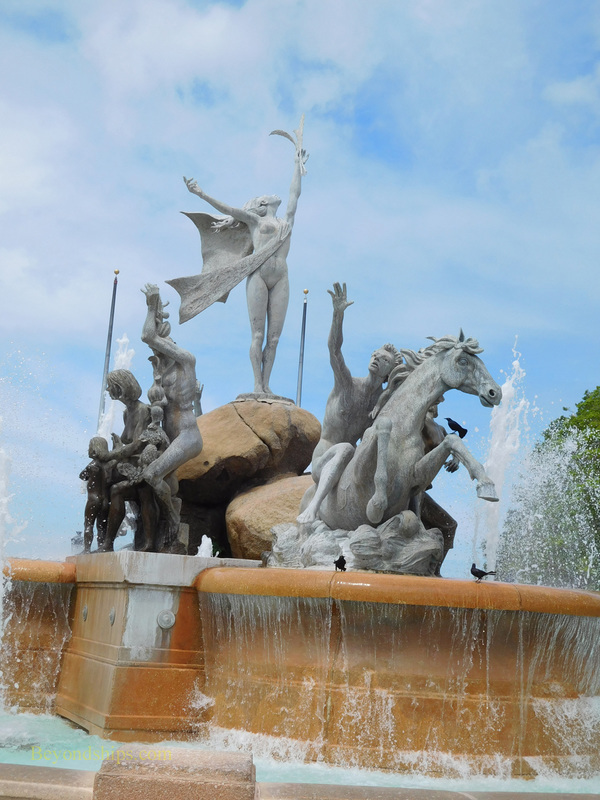 Completed in 1992 for the 500th anniversary of Colmbus' arrival in the New Worl, the fountain honors Puerto Rico's African, Spanish and Taino heritages. The sculptor was Luis Sanjuino. At the Raices Fountain, the paseo curves off to the right (north). A series of tall trees overhang the pavement. Also undernetah the trees is Crecimento, a modern sculpture by Carmen Ines Blondet (right). 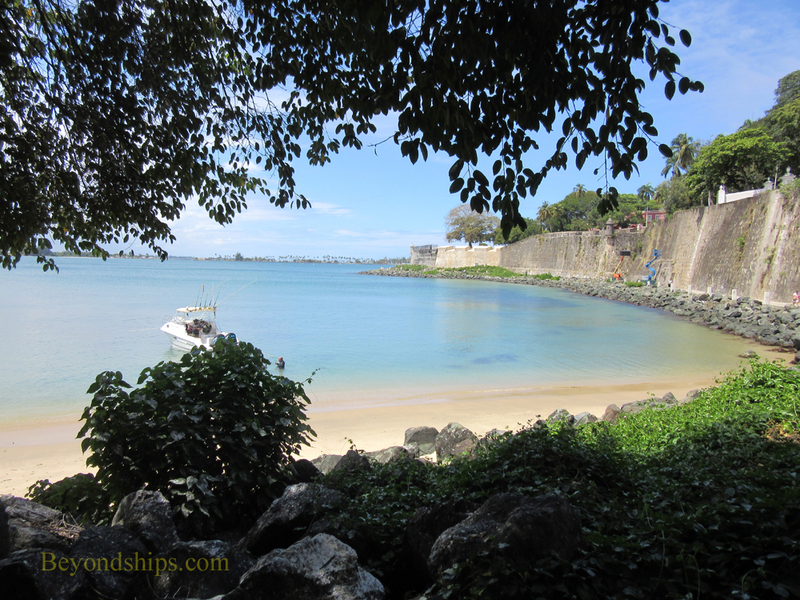 The paseo runs between the city walls and the sea. Antique lamps and park benches line the way. ​Although not visible from below, atop the city wall here is La Forteleza, once a fortress, now the governor's mansion (above). 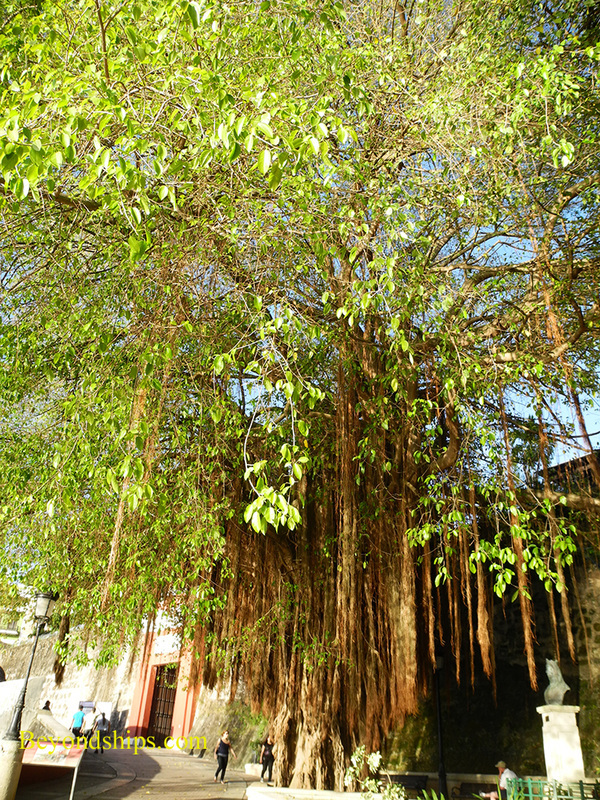 Continuing on you come to an ancient Banyan tree. Underneath the tree is a bust of Queen Isabella I of Spain. She was instrumental in finacing Columbu's first voyage to the New World and so the plaque praises her as a visionary and calls her the Catholic-mother of America. Paseo de la Princesa essentially ends at the Puerto de San Juan. 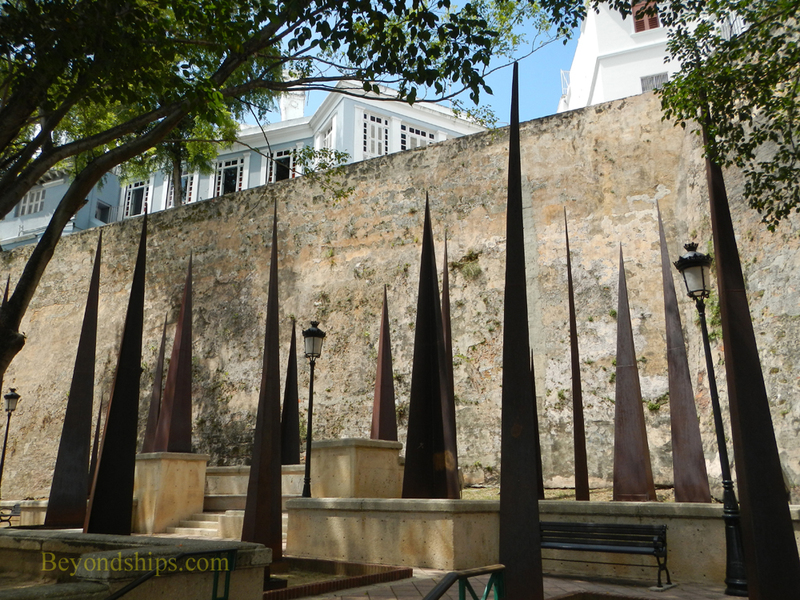 Built in 1635, this was one of a series of gates in San Juan's city walls. These gates were not just defensive works but were used to control who could enter or leave the city. Named after St. John the Baptist, this is the only surviving city gate. 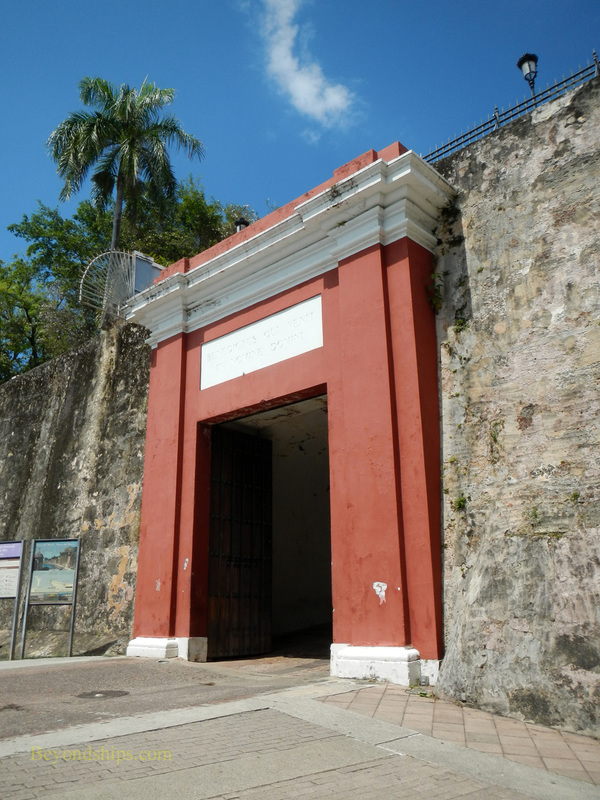 At the San Juan Gate, you can turn and go into Old San Juan. The San Juan Cathedral is not far up its cobblestone streets. 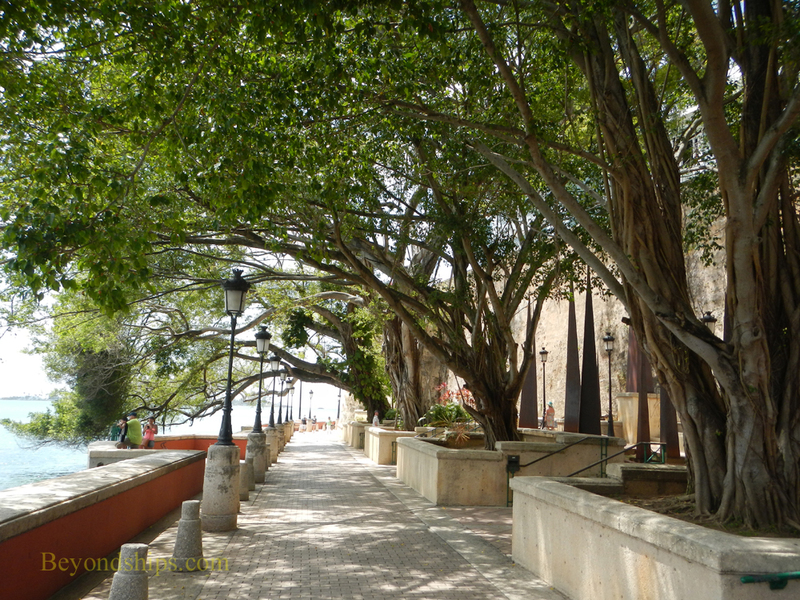 Alternatively, you can continue along the seaside on the Paseo Del Morro, which is discussed next.